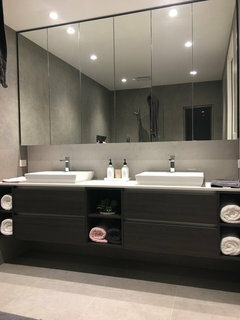 I am trying to find info about whether you can place two or more mirrored shaving cabinets next to each other to create a longer mirror like in the pic...? I can’t find anywhere if you can actually do this and still be able to open the doors. Does anyone know please?? Yes, you can purchase double and triple-fronted shaving cabinets. 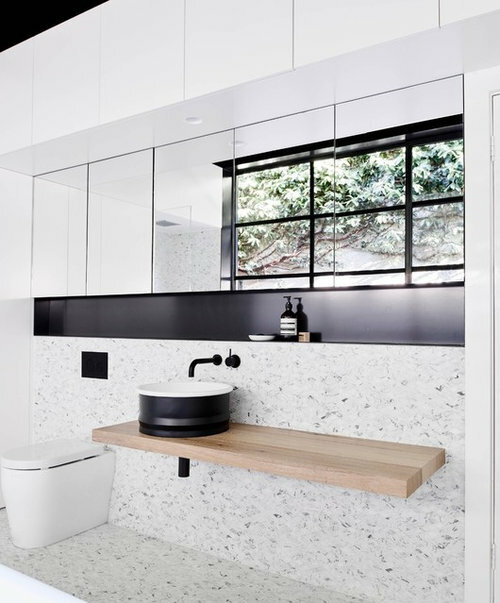 Just make sure that one of the doors is centered over the vanity basin. Nothing worse than having the crack between the doors in the middle of your reflection! Any kitchen / cabinets maker can make it to your specifications and it will definitely fit. I mean could I put a 750wide next to another 750wide (so it’s 1500 all up) and still be able to use the doors correctly? You would be able to install two double-front cabinets side by side, just would have to use caution when opening thode doors that could knock into each other. With this in mind, best to organise the cabinet contents to reduce the likelihood of this. Would be great if these cabinets were made with top-hinged doors like in kitchens. Yes you can definitely do this MrsRicho. 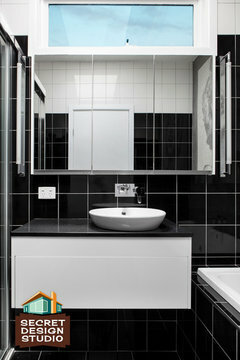 We have recently completed our new build and here is a pic of our ensuite. We initially had an issue with the mirrors crunching against each other when opening and we had to get 1mm shaved off each of the sides of the mirrors. Now they open beautifully with no touching at all. 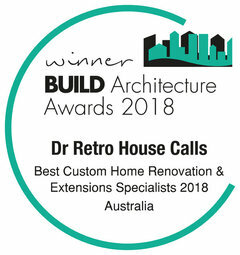 Please also be mindful at the point of installation that the mirrors are installed flat into the doors, that is, they don’t protrude as a result of double sided tape! Our installer used double sided tape and silicone (the tape to hold the mirror in place while the door was hang back up and the silicone dried. The effect was looking at the mirror side on there were gaps where there was no tape and you could see the tape. We had the mirror installers return and remove the mirrors, shave the 1mm off. Our joiner then completed the job by siliconing the mirrors whilst the doors were flat on the floor and left them to dry for 48 hours before hanging the doors. @zaffa, love your cabinets do you remember how much was one of them and how tall are they?? Thanks. Thanks oskuee. You mean the mirror cabinets? I can measure them later today when I find a tape measure. We installed power points in them and there is a 10mm gap between the doors and the base shelf so cables can come out of them while the door is closed eg. hair dryer cable while drying hair. I can’t remember how much one cabinet was I’m sorry. We paid the joiner a total amount for our joinery. They look great, zaffa! Clever solution to stop doors grinding. Bathroom Feature Wall with same tiles as floor tiles??? Solving a small bathroom dilemma. Where to put powerpoint in my small bathroom?